Live the life of a Soldier and earn your pride as war hero. The rain is falling strong from the sky, yet your army advances through the storm. The air is filled with tension as day break is near and the enemy is getting close. Nothing will stop you be it rain, thunder or the Gods themselves. 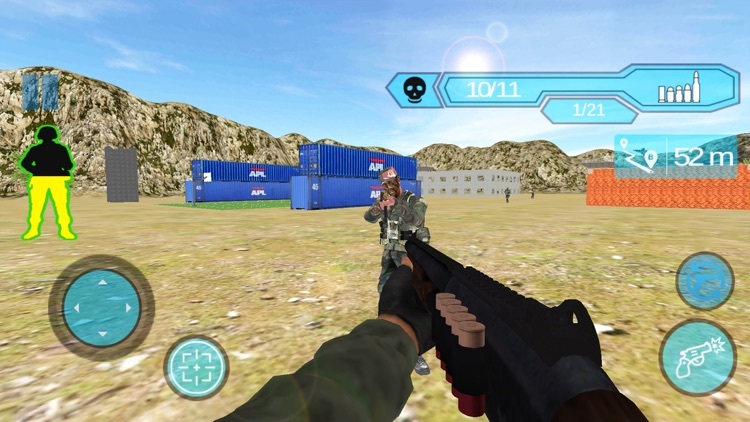 E-5 Sargent William is most experience soldier, he is trained in U.S Army training school with best action and modern commando skills, free action moves, invasion and commando activities to take part in combat and war situations. His strategic thinking makes him the top of his entire IGI commando group and E-5 SGT William has the ability to lead every mission in war times. Now he has to face and survive the deadliest guerrilla forces in northern area of Russia in cold hilly mountains and fight against Russian underworld groups involved in Kidnaping VIP personalities, stealing secret files of military bases and selling them for drugs, money laundering and terrorist activities all over the world. 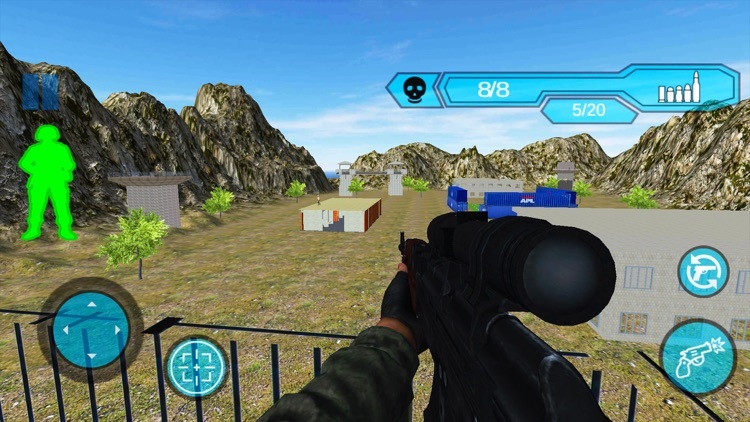 IGI Commando Counter Attack 3D FPS is the most modern game of 2017, this game has mountain sniper shooting and AK47 action missions. 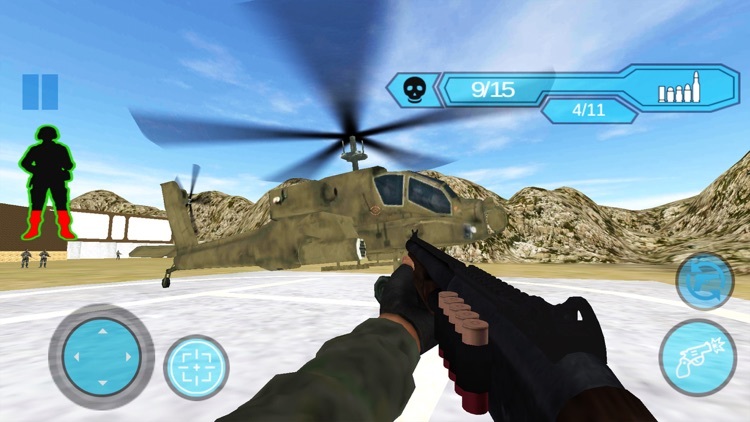 Sargent William has to fight hard with special ops and invade their enemy bases in this 3D commando shooter adventure game. Training of Sargent William was too rigorous that he can face any harships during his mission in battlefield. Special mountain sniper training has been given to Sargent and now is the time to use his tactics snipping skills sitting on the top of cold Russian mountain and snipe all enemies on the guard towers. In this last commando adventure game you have to perform as William and need to clear 10 different missions marked on the map without getting caught. Solider this is the time your country needs you as the last commando in war against dangerous army and military forces. 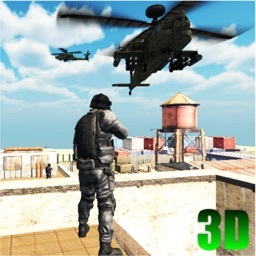 Become IGI commando 3D in this free action game and perform your duty as the hero of your country. You have the goal to live or die for your country’s pride. This time you are on your own Jack wear your gleaming gear and do what you are train for. Fight on the frontline of your army and become the soldier of the nation. 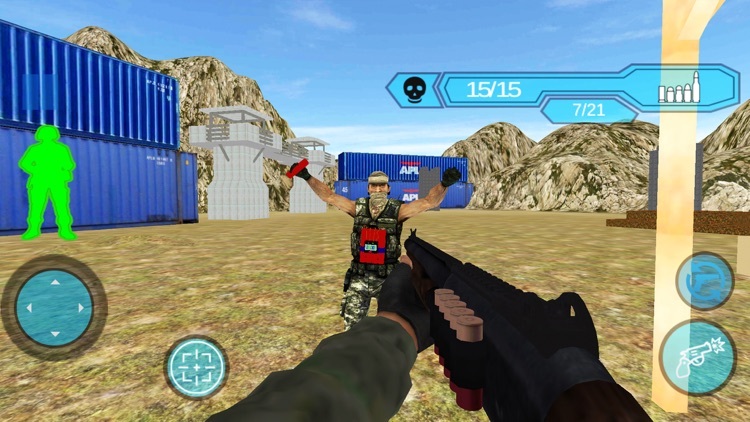 While playing this extreme commando shooting adventure 3D game and be aware of enemy’s activities and save yourself from commando counter attack. This is dday of a soldier’s life so use very sharp skills for shooting your enemy by AK47 of killing him by your stainless gleaming dagger and return to the base with what belongs to us. 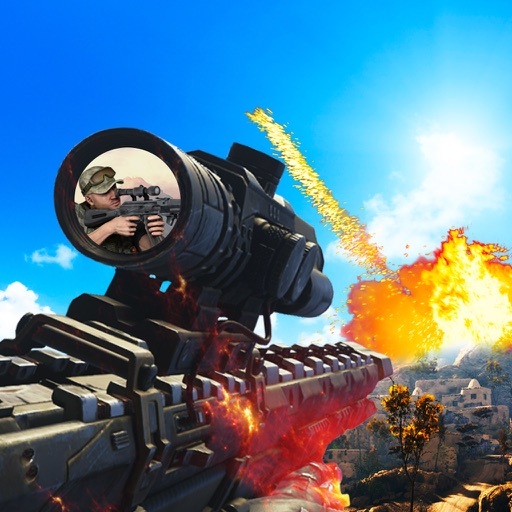 Play this shooting game of 2017 and feel the real mountains and enemy’s heavily guarded bases where they keep prisoner and hostages for ransom. This game is designed in a very beautiful landscape environment with realistic AI of enemies and first person smooth controls so that you feel real fl commando. 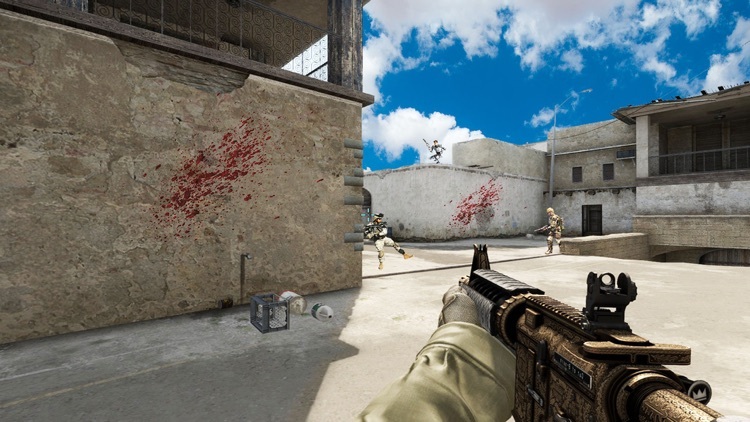 Encounter the commando war zone mission in this free first person shooter game. 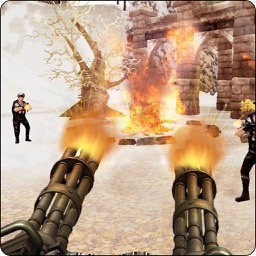 This commando adventure game is real life battle zone with advance multiple weapons and different battle zone. It is a whole pack of mission based, heavy gunship military attack base game. The number of ambulation and frontline commando is enormous. 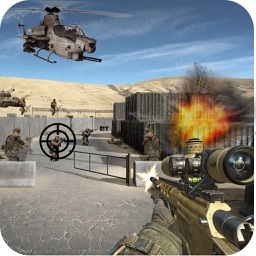 So what are you waiting for download army games for free and play it without internet. - Challenging mission with increasing difficulty level. 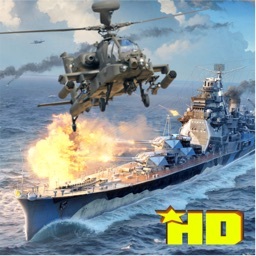 - Great 3D beautiful graphics and environment. 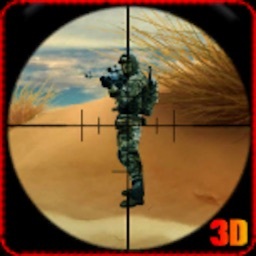 - Face challenges and improve your commando sniper shooting skills. - Extremely quality engaging sound effects. - Modern weapons used in this game.